Rich chocolate flavour traditional style fudge… with crumbly bits! Big chunks of delicious crumbly handmade artisan fudge produced in Farnham, Surrey.Made using natural flavourings and only the finest ingredients for an unforgettable taste and texture experience. Dangerously good.. Available to buy in quantities of three, five and ten 125g bags or you can mix and match your bags according to taste and choose from twelve amazing Mummy Makes Fudge flavours. Please note dispatch of this item is made within 10 working days as all fudge is made fresh to order. British granulated sugar, soya cream, organic soya milk, plant based vegan baking margarine, cocoa powder. Beautifully packaged and arrived so quickly! Tastes AMAZING too. Will definitely be buying again! Love the packaging, would make an ideal gift. Wow, what a gorgeous, homemade fudge. Both my son and I are lovers of quality fudge and this certainly hit both of our pallets. For the quality, it is very reasonably priced and I highly recommend this great product to fudge lovers around the world. FABULOUS fudge........just as I remembered Grandma made. The flavours are really distinctive and such a lovely selection. 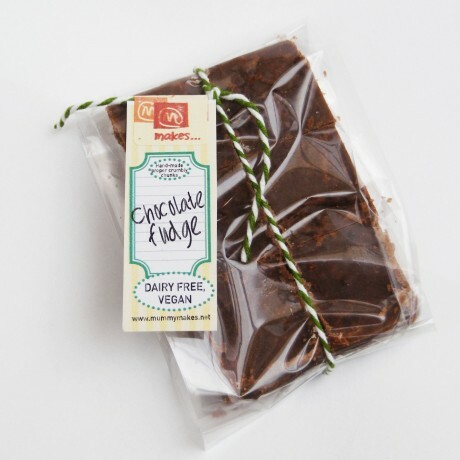 The Vegan fudge minus dairy products is absolutely great ! The service is excellent....I've ordered before and will order again. I think this fudge is ideal as a gift and with Christmas coming up soon ....ideal as a stocking filler.......that's if you can resist eating it all ! What a fantastic product and a fantastic seller! 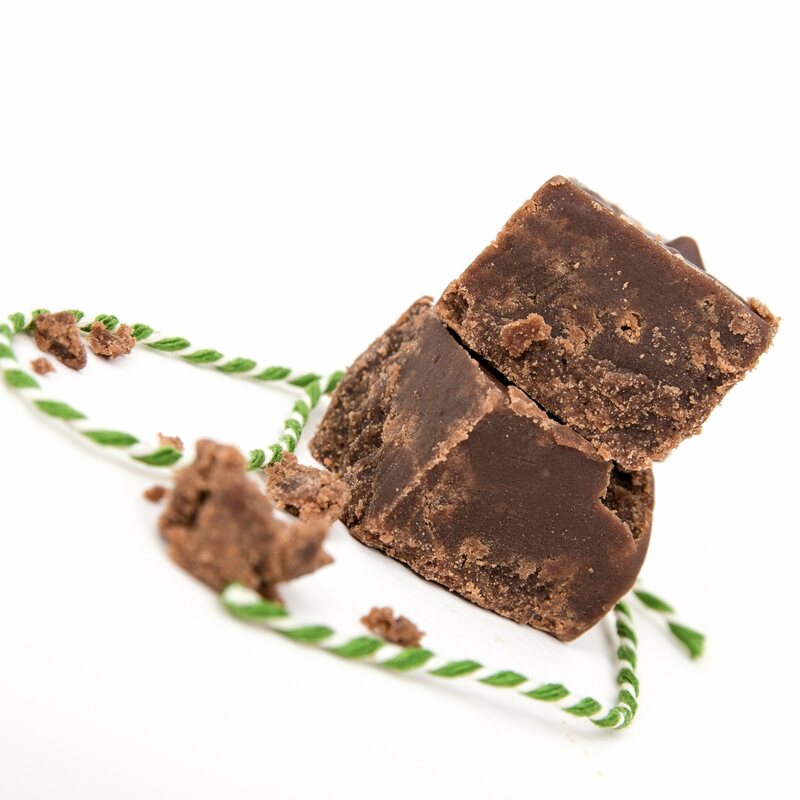 The fudge is absolutely amazing, and so is the dairy free fudge! My hubby said it was the best fudge he has ever had. A true find finding someone who makes such a delicious crumbly dairy free fudge - I’ve tried a few and Mummy Makes Fudge blows everyone else out of the water. Very friendly personal service made ordering even better. I will be ordering from Mummy Makes Fudge again and again and again! Thank you so much! Ordered 3 varieties as a Gluten Free treat for a friend. Ordered 3 varieties as a Gluten Free treat for a friend. Cannot comment on the taste as they were not for me but my friend was delighted. Arrived well before the estimated delivery date. Would happily recommend and use again.Thank you. Oh my goodness!!!! This is AMAZING!!! Thankyou mummy makes fudge! I haven't been able to eat dairy or gluten for such a long time, but this takes me back to what REAL fudge tastes like! We bought dairy free vanilla, salted caramel and chocolate! Chocolate wasn't personal favourite! But they were all delicious!!! We will defo be back! Don't hesitate, order some! You won't be disappointed! 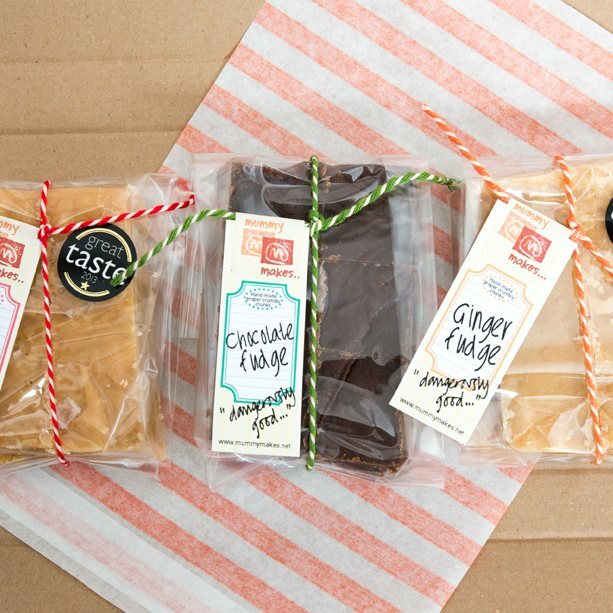 Proper hand-made fudge that is fashioned traditionally but definitely not old fashioned!